We have just arrived home from our seven weeks away. You may have thought that you escaped any further Palm Desert posts. Not so! One of the highlights of our trip was spending quality time with family. Below Charlie (3) and Jordyn (2) model things to do in Palm Desert with children. Palm Springs Aerial Tramway: Ride the world’s largest tramway for 2.5 miles as it travels up (and back down) the Chino Canyon. The views are spectacular! Jordyn loved the ride….and loved asking Grandma for pennies so that she could ‘make wishes’ by throwing them off the edge of the lookout. (Don’t worry we didn’t throw them far…and the coins are later collected). More Info. The Living Desert: The Living Desert’s mission is: “Desert conservation through preservation, education, and appreciation.” It is a unique zoo/botanical garden that specializes in deserts of the world. Here you can find cheetahs, mountain lions, and zebras amidst many other awe-inspiring animals and plants. Charlie highly recommends feeding the giraffes…and the lorikeets. More Info. Sunnylands: At this 200-acre winter residence in Rancho Mirage, Ambassadors Walter and Leonore Annenberg entertained well-known leaders, thinkers, and personalities. This estate ground is now open to the public. A variety of programs, changing exhibits, guided walks and estate/house tours are on offer, including free yoga classes at 12:00 noon ever Friday (modeled by Grandpa). While we were there, we took advantage of the Día de Muertos celebration, which is one of Jordyn’s favourite festivals. More Info. Palm Springs Air Museum: This unique museum offers exhibits, displays and historic aircraft from World War II, Korea, and the Vietnam War. Many of the planes are still in flyable condition. If money is no object, private flights can be arranged. It was hard to tell who enjoyed this event the most — Charlie, his parents or Grandpa! More Info. And What We Loved Best of All — Just Hanging Out! Being surrounded by great weather, inviting pools, awesome food, and a remarkable compound (Sun City) meant that we never ran out of cool things to do. We loved every minute of this family (and friend) time together. We look forward to having more of this at Jordyn’s upcoming birthday (November 24), followed by an even larger family reunion this Christmas. Stay tuned! Looks very fun and warm! Lucky you! We are going into a cold snap that we haven’t seen in decades. Ugh! Brrr!!! But there’s no such thing as ‘Climate Change’, right? So cute! Looks like you are having a great time. Hi, Janet – I greatly appreciate you reading and commenting. The warm temperature was very relaxing. Family time was absolutely priceless! Looks like a warm, wonderful family time! Hi, Deb – Richard and I have been to Palm Desert before and have always enjoyed it. Having children and grandchildren there was the icing on the cake! Oh my word! You would have had to leave me at the top of those steps…or the bottom…whichever wouldn’t require me to move. I’m deathly afraid of heights. Charlie and Jordyn are so adorable! I’m so happy you had a nice time, Donna. Hi, Jill – I thought that you were on a (well-deserved) blogging break! I greatly appreciate you stopping by. I was just about to email you to ensure that all is well for you. Sending warm hugs your way! Thinking of you and your parents, Jill. Sending much love your way. Good luck with your new book. I greatly look forward to reading it! Hi, Natalie – I have much catch-up to do as well (which I am currently avoiding)! I greatly look forward to reading your Morocco post. Thanks so much for stopping by! I have three grown children plus their spouses (6 adults) plus their kids (8 total grandchildren) and when they visit at different times of course (we don’t have a big enough place to house everybody at once 😂), our favorite things to do are everything you mentioned! The tram, living desert, swimming, and the Air Museum is especially a favorite and we get to chat with the WW2 vets who volunteer there, which is such an honor. For those of a golfing age, the “First Tee” is a good place to bring kids, too. There’s a little nine hole course and driving range. And putting area. The visitors center and hiking opportunities for young and old at Thousand Palms near Sun City is also a big winner since the trails are easy peasy. As much as I love to do all that, hanging out in the backyard, barbecuing and swimming, watching the kids horse play creates warm fuzzies for me too. Since I live in Sun City I will share that Donna’s presence here for the short bit she visited brought extra sunshine and vitality into our environment. I bonded with her after the first gracious and warm hello she gave me in yoga class, and I will continue to follow her varied adventures! Hi, Susan – I just found this comment in my Spam Folder. I’m so sorry, I just realized that you needed to make this comment twice. Thank you so much for your persistence in doing this. I’m not sure why your comment went to Spam since you have commented here before. Ah, the many mysteries of the blogging world! However, it’s always a blast and the young-uns keep me on my toes and allow me to visit the places of the desert that you mentioned and appreciate the wonder and excitement in the grandkids’ eyes. I just love being outdoors with them, which the Living Desert and the Tram ride and hike at the top allow us to do. Yet, the Air Museum is a particular favorite because the kids get to engage with WW2 vets who volunteer there. It is such an honor to speak to them, always! For those of a golfing age, there’s the First Tee of Coachella Valley that is family and kid friendly, with a little 9 hole course, range and putting area. We also take them to Thousand Palms near Sun City where there’s a relatively easy hike to a beautiful palm tree oasis, and the educational visitors center there is a plus as well. My 8 grandkids range in age from 9 months to 14 years old, so of course we are always looking for appropriate venues and things to keep them busy and engaged. But the best part of family visits, is indeed hanging out in the afternoons by the pool, watching the kids swim and horse play, barbecuing and relaxing. As an aside, I was privileged to meet Donna during her 7 week stay here in Sun City, Palm Desert and she left a hole with her departure. Our community was definitely enhanced and invigorated by her presence. I will continue to eagerly follow her many adventures and shares. She’s a great lady and human being. Hi, Susan – What a kind and thoughtful comment you have left! Reading it made me want to teleport myself (like the Jetsons) back to Sun City immediately! 🙂 At the beginning of our Palm Desert trip, I had asked a few locals for their recommendations on kid-friendly activities. Next time, I will definitely ask you as well! Richard would love to do some golf with the grandchildren…and the hikes! Now you’ll just have to make a trip to Vancouver Island so that we can continue our conversations. We have plenty of room….and there’s tons of stuff for kids to do here if any of your grandchildren would like to join you!! I look forward to your next post. I had to rewrite my comment because it disappeared 😩. 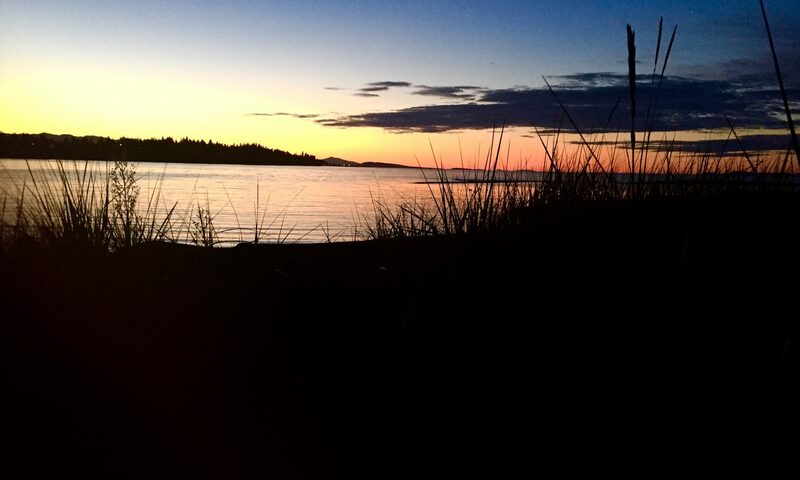 I may just have to give me, myself and I the gift of a trip to Vancouver Island one of these days. Thank you for the kind invitation!! I definitely love meaningful conversation, scenic views and laidback lifestyles! To whet your appetite further I leave you with this link! Hi, Liesbet – Great to hear from you. I’m so sorry that we missed you and Mark when we were in the area. Wishing you a great time there. I look forward to reading about your new house-sit! Cool is not a word I would associate with Palm desert but it looks as though you had a great time with your grandchildren. Will you be going home to snow? I have just got a new grandchild daughter. I had my first cuddle yesterday. Hi, Anne – We are already home and fortunately there is no snow or rain… at least not yesterday or today! Congratulations on your new granddaughter. Please sneak in an extra cuddle for me! Enjoyed the pics. Looks like you had a great time with the cute grandbabies! HI, Georgia – I LOVED meeting up with you in Palm Desert. You are very wise and insightful! I agree — let’s not make it another 20 years before we meet up again. Good tip about the Rancho MIrage Children’s Museum. I will add it to my list! oh yugh – not down here yet … yet!! Actually Wednesday is when ours is meant to arrive … yes I miss the steady sunshine, but love the rain too – when it doesn’t inconvenience me!! Here’s to some happy days of sun at home!! Hi, Hilary – I like your closing thought! I am personally hoping for a little less local rain this winter. BTW – I just finished reading Part 4 of your Cowichan History. I LOVE that series!! Hi, Leanne – I’m glad that this post made you smile. Never say never. Who knows — you could win a lottery. If you do, I hope that you come visit often! What a wonderful vacation Donna! There is nothing I love more than spending time with family. That tram ride looks awesome, I’ll have to remember it if we get out that way. Hi, Karen – You are absolutely right. Spending time with family and friends is best of all! Being able to do so in a warm, sunny climate is an incredible bonus! I’m hoping that you have ‘this way’ (Vancouver Island) marked as a place to visit. Our temperatures don’t get as hot…but our hiking is fabulous! The best allure of retirement is spending quality time with the grandkids. A life bonus. Working on my escape/retirement plan. Hi, Antoinette – Richard and I were fortunate to retire just in time for our grandchildren to come along. I did also greatly enjoy my final years of work before retirement. It can be the best of both worlds! I hope that your school year is going well. I liked the Tramway and I’m not a kid. I’ve never thought of Palm Desert as a place for kids, but you’ve found some good spots. You’ve come to think of Palm Desert as a second hometown? You seem comfortable there. Hi, Ally – You busted the secret of these activities! They were ALL things that the grownups wanted to do. Being able to experience them with our children and grandchildren made them that much more special. We’ve greatly enjoyed our time in Palm Desert. We are always torn when making our travel plans. So much beautiful world to see out there!! It looks like you took advantage of every moment in Palm Desert, but all good things must come to an end, right? Hope the weather back home hasn’t been too much of an adjustment for you. We are looking forward to getting back to a warmer climate. Hi, LuAnn – We definitely maximized our time in the Palm Desert area…and enjoyed every minute of it. The weather at home has been pleasantly mild. Fingers crossed that lasts for a while longer. Wishing you a safe and enjoyable return home. Hi, Kathy – I am absolutely convinced that you live in Paradise…. at least for the majority of the year. I loved the time that we had together and was sad that we did not have more. We’ll just have to make up for it on Vancouver Island — which I greatly look forward to! What a beautiful spot of earth! And such cute grandkids! Thank you for sharing! Seven weeks, wow! What a fun trip. There is nothing better than combining travel with quality family time, and being able to mix exploring new places with chilling out at a home base. Hi, Bethany – Thank you for stopping by. I agree that anytime is a good time to plan our next vacation. The dreaming and planning is one if my favorite parts! Hi, Jo – I fully agree — making the most of precious moments really is the key! Hello Donna. It appears as if you had a delightful time–complete with family and friends. All the happy faces make me smile in return. Thanks for sharing. Hi, Christie – There is nothing like the smiling face of children to make us smile back! Thanks so much for stopping by. I greatly appreciate it! Hi, Sue – Spending time with our children and grandchildren is best of all! Time passes by so quickly — it is wonderful to enjoy every single moment that we can! Hi, Jennifer – Thank you so much for stopping by. I greatly enjoyed your post today. Very thought-provoking and insightful! Thanks, Debbie – I greatly appreciate your comment. As you have also experienced, trying to narrow down photos to share after a trip is hard work! 🙂 There are so many shots to chose from! Looks like you had the full Palm Dessert experience, Donna! How wonderful it is so kid friendly. Isn’t spending time with grandkids the best? Late getting to your post this week but doing so from #MLSTL. Have a Happy U.S. Thanksgiving! Happy Thanksgiving to you too, Molly! I greatly appreciate you stopping by. I completely agree with you — spending time with our families is a true blessing! We are new to this retirement thing, but one thing we do know is that we love to spend time with family! Can’t wait to see grandaughters in 3 weeks when they come with son and d-i-l to spend a week with us in Florida! We plan on doing the hangin’ out thing as well…but going to Disney is on the list, too! I think I’m as excited as the girls as I’ve never been to see Mickey. Hi, Nancy – Your comment deeply resonated with me. For all of the activities that my family enjoyed in Palm Desert (including a side trip to the San Diego Zoo) I believe that the adults were just as excited as the children. Bottom line – family time is the best. Experiencing this time in sunny Florida or California is the icing on the cake! I am off to visit your site now. I hope you like the site…working hard on it as well as this retirement thing!!! Hi, Nancy – I could not get into your site. Can you please resend the link? Thanks so much! Those are some fun and exciting things for all ages, Donna! That tramway in Palm springs looks amazing. Glad you are safe at home. We finally got our rain which has put out the fires and still clearing the smoke. Hi, Terri – I am glad to hear that your area received their much needed rain. This time of year, Vancouver Island always has rain to spare. It’s unfortunate that there is no way to redirect it — or package it up and send it to those in need. Looks like so much fun – I think I’d like to be a kid there too! Wishing you & yours a happy thanksgiving. Hi, Jo – It was fun to experience Palm Desert through the eyes of our grandchildren. On his second day there, Charlie announced that he wanted to live in this “holiday house” forever! 🙂 Happy Thanksgiving to you too! If you promise not to tell anyone, I visited all of those places (except for the Air Museum) long before our children and grandchildren came to visit. I LOVED every single one of them. Happy Thanksgiving, Lisa. Hope you found a wonderful way to celebrate! That sounds perfect! Enjoy the game parks! Hi, Sam – I greatly appreciate you stopping by. I love time with family and travel….so it was a perfect combination. After seven weeks away, it’s nice to be home….even when the weather forecast is NINE STRAIGHT DAYS OF RAIN!! Thank you Donna for linking up with us at the #BloggingGrandmothers End of the Year Link Party 2018! Party ends January 5, links are unlimited so feel free to add more! Hi, Dee – Thanks so much for all of the work that you do to support other bloggers. It is greatly appreciated!! Donna, how nice that your family was able to join you for part of your holiday. Your grandchildren look adorable!